Here we are! 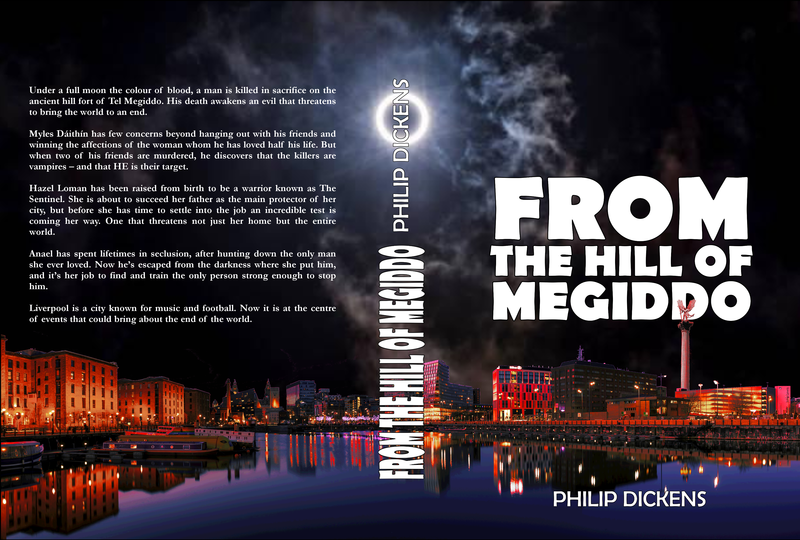 Cover art for From the Hill of Megiddo, which I have to say makes this whole publishing lark feel that much more real. It’s not too bad either, if I do say so myself. The last two weeks have been extremely busy for me with lots of travelling, mostly due to an ongoing consultation with PCS members regarding attendance allowances. But I’ve been lucky as I still managed to find the time to finish editing my manuscript. Not that too much was needed given how many revisions it’s been through at this point, including complete restructuring from a trilogy into a single, larger work. The next step is to get it published. As I’ve previously written, I’m looking at self-publishing because soliciting agents is a full-time job, and I already have a full-time job (plus a time-intensive trade union role and a regular commute between Liverpool and Cardiff on weekends). In terms of what happens next, I’ve set up accounts with CreateSpace, Kindle Direct Publishing, Draft2Digital and Kobo. This should allow me to sell both paperbacks and e-books to the widest possible market. I’m starting with CreateSpace, which handily has templates both for the interior of your book so it all looks right when it’s laid out and for cover design as well. It’s been fun to tinker around with and now my files are with them for review. Once that’s sorted, I can pretty much take everything straight across to KDP to kill two birds with one stone. Whilst I’m waiting for that, I’m going to start going through D2D and Kobo to get to grips with them as well. The basic plan is to pick a launch date, so that I can advertise in advance, and it’ll be available across all the different places you’ll be able to buy it at once. From there, we see what happens.